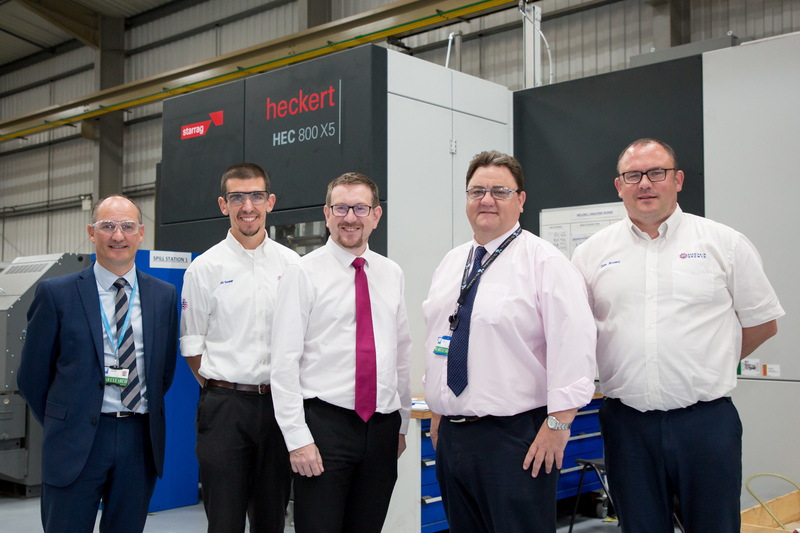 Shadow Secretary of State for Communities and Local Government Andrew Gwynne MP visited Hyde Aero Products to see first hand how one of the largest employers in Tameside, Greater Manchester, is beating the productivity challenge. The Denton and Reddish MP toured Victoria Production Engineering (VPE), which is one of nine plants run in the area by Hyde Group, meeting the team and hearing how Hyde Aero Products has secured around £35 million in contracts since joining the UK’s aerospace business transformation programme Sharing in Growth in 2014. Gwynne was also shown how the company had embarked on an ambitious growth plan supported by Sharing in Growth (SiG). The Hyde team has worked alongside SiG’s global manufacturing experts to implement best practice which had helped them win at least a dozen new customers. Since joining the SiG programme in 2014, the Hyde team has created a new strategy, changed its leadership practices, and improved its operational performance significantly through a new culture of continuous improvement. 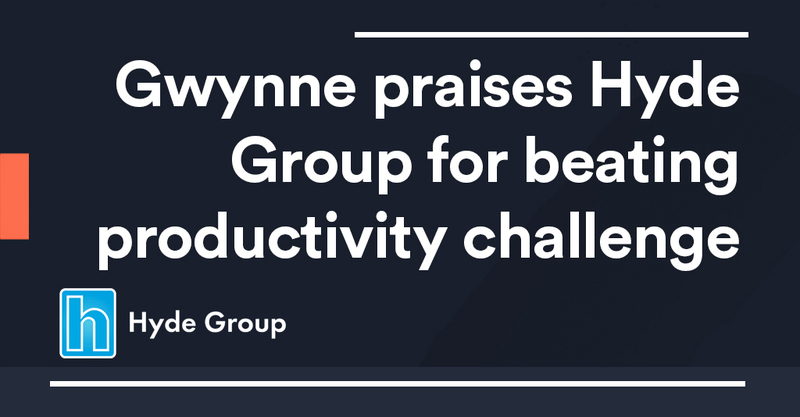 Achieving a 50% increase productivity has allowed Hyde to increase turnover by 28% and invest in its future. This includes recruiting 60 new employees and increasing apprenticeship hiring from three to 25 apprentices a year. 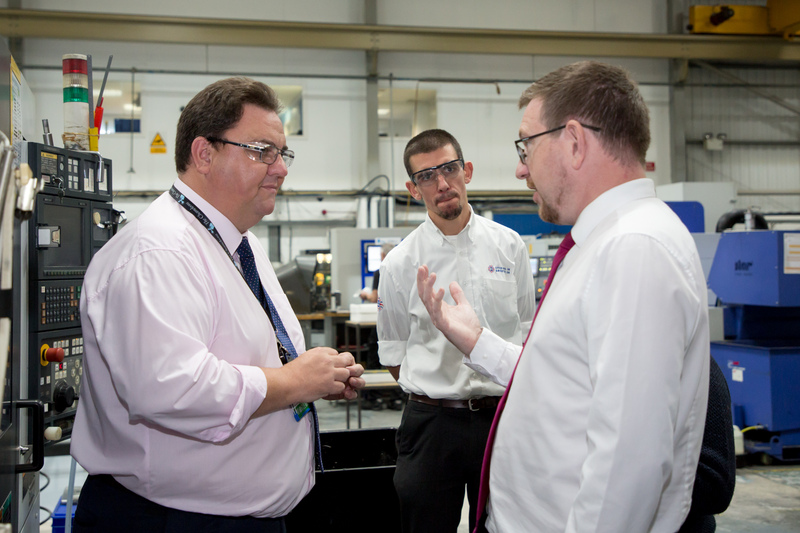 On his factory tour, Gwynne saw some of the latest investment, including £7 million worth of state-of-art machining technology, and heard the Hyde and SiG team explain how they had designed and built a new exemplar machining cell which will now be replicated to provide 50% more capacity for additional growth. Leading the tour VPE Managing director Scott Murray showed how SiG tools, such as visual management boards, had helped increase output in his plant fourfold, supplying key aerospace programmes such as the Airbus A350 and A400M. Sharing in Growth is the UK’s aerospace business transformation programme, set up by industry in 2013 and supported by the Regional Growth Fund and more than £150 million in private investment. It is endorsed by Airbus, BAE Systems, Boeing, Bombardier, GE, GKN, Leonardo, Lockheed Martin, MBDA, Rolls-Royce, Safran and Thales because it is helping the UK advanced manufacturing supply chain to become more competitive and win a larger share of global aerospace contracts.